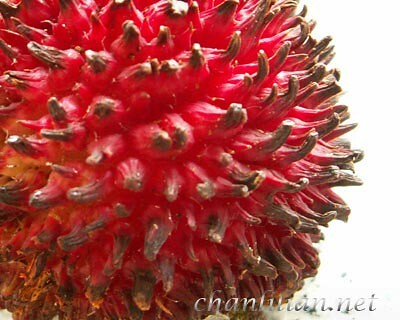 Pulasan is scarcely found on sale except an occasional appearances on hypermarkets and roadside stalls. It is a seasonal fruit and available around the middle of the year. I do wish they would plant more pulasan trees. I prefer pulasan than rambutans. However, price is a factor. The above pulasan was bought from the Tapah rest stop. A bunch cost RM11 when the same number of rambutans will cost only around RM3. The skin is thick red with tiny soft thorns or spikey. It has a single seed with white flesh. Unlike rambutan, the flesh easily come off from the seed. The taste of the pulasan is mildly sweet with almost no sourish taste. I google for pulasan and as usual not much is written about this fruit. We have so many types of tropical fruits that are confined within South-East Asia. It is a pity that all these exotic tropical fruits aren’t introduce around the world. Many of them are certainly hardier than all those berries and good for export, aren’t they? Try Kuala Kubu Bahru, I had the best so far this year at RM5.50 a bunch. YAY! You blogged abt pulasannnss!!! Yummehh! wow.. haven’t eat pulasan for long long long long time already.. I love pulasan too. I must make request for some to be supplied soon since someone I know has a pulasan tree at home. congrats, another great malaysian website !! Some Asian fruits like the mangosteen are forbidden from being imported into the US because of fruit fly threats to US fruit crops. 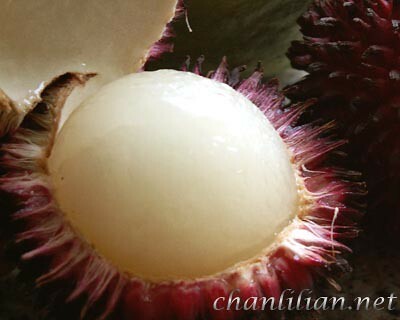 You can get rambutan and durian in Hawaii, though.